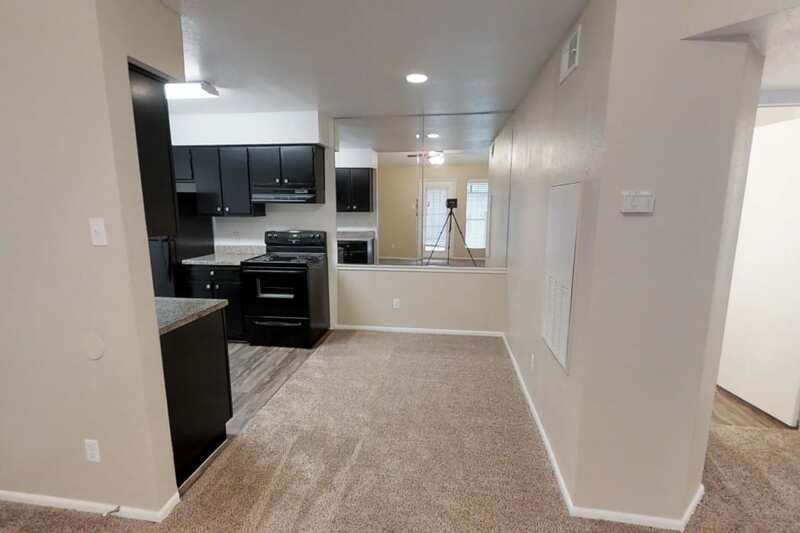 Choose from our spacious one, two and three-bedroom apartments in Angleton to find just the cozy home and close-knit established community you’re looking for. Our apartments are contemporary with character. Our apartments for rent come in layouts ranging from 504 to 1,089 square feet. We stay connected to the people who live in our communities so we can help residents live life better. That’s how we’ve created apartments that are functional, attractive, and an easy place to call home. The interiors of our Angleton, Texas apartments are full of character. Find elegant features including custom ceiling fans, spacious closet areas, and other thoughtful design touches that will make your new apartment feel like home. Our community is equipped with laundry hook ups, so wash day will be done in a snap! Select apartment homes even feature a private balcony, where you can host friends for an alfresco dinner party or relax with a favorite beverage in the evenings. Call today to schedule your personal tour of our Rockstar Capital apartment community. We’re committed to providing you a genuine feel of what life at Westport Apartments is like because #RockstarCares.